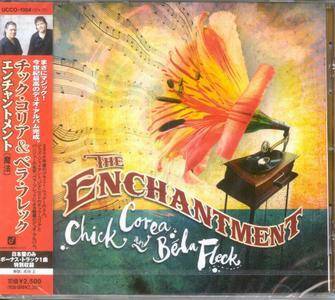 Aside from being legendary multiple Grammy-winning jazzmen on very different instruments, Chick Corea (piano) and Béla Fleck (the world's premier jazz banjo master) have a shared love for collaboration and the infinite improvisational possibilities their chosen idiom offers them. In some ways, the two have been preparing for this masterful, musical dialogue-driven masterpiece for over ten years. Fleck, who has always credited Corea as being one of his chief influences, invited the pianist to play on the Flecktones' Tales from the Acoustic Planet, as well as the group's live CD Live Art. Some years later, in 2001, Corea found a spot for Fleck on his Rendezvous in New York DVD. Later, they toured as a duo, making the unique recording of The Enchantment an inevitable artistic extension of their on-stage chemistry. 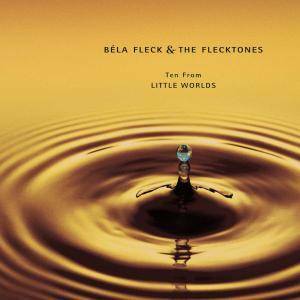 Ten From Little Worlds is a sort of a sampler of Béla Fleck & the Flecktones' three-CD-long concept album, Little Worlds. While the full work seems a little disjointed and too expansive, the ten-song collection is a little more digestible. The idea for the project seems to have been to record an album that sounds like sitting in a car and flipping through radio stations – hearing snippets of hip-hop, Chinese opera, Irish folk, Hawaiian ukulele, mid-'80s funk, and, of course, bluegrass and jazz, then expanding that experience out to three entire discs. If any group on the planet could pull this off, it could only be Fleck and his Flecktones, but the concept (being as convoluted as it is) makes for a rather uneven listen. 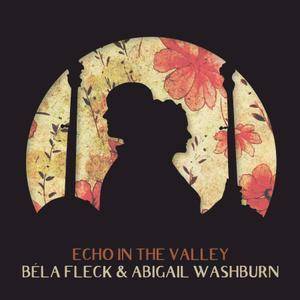 The bright and jazzy "Puffy" neatly bridges the gap between contemporary jazz and new acoustic music, but the unfortunate hip-hop version of Flatt & Scruggs' "Ballad of Jed Clampett" never needed to be recorded. 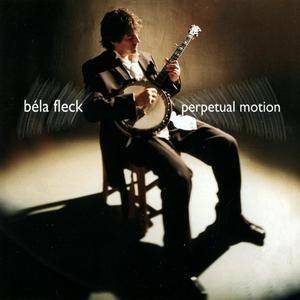 Béla Fleck is the world's premier banjo player, a 16-time Grammy Award winner nominated in more categories than any other musician, a genre-busting collaborator, a film producer and a composer. Foremost, though, he is a dad. 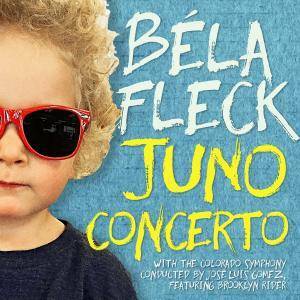 The impact of fatherhood on Béla is reflected in Juno Concerto, named for his firstborn son with fellow folk musician Abigail Washburn. 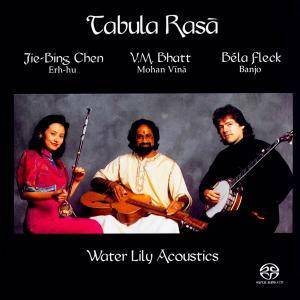 Foremost innovator on the banjo, Béla Fleck is joined by Hindustani master V. M. Bhatt and Chinese virtuoso Jie-Bing Chen in a collaboration that begins with a clean slate and culminates in a masterpiece of synthesis. Adding poignant but subtle coloring to this unique work are Hindustani flutist Ronu Majumdar and violinist Sangeeta Shankar, as well the Karnatak percussionist Puvalur Srinivasan on mridangam. Béla Anton Leoš Fleck is an American banjo player. Widely acknowledged as one of the world's most innovative and technically proficient banjo players, he is best known for his work with the bands New Grass Revival and Béla Fleck and the Flecktones. 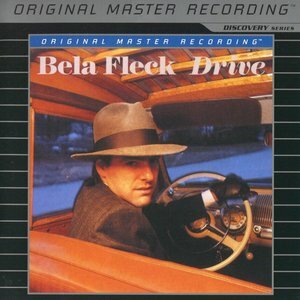 "Drive" was produced toward the end of Fleck's New Grass Revival career and before the Flecktones were formed and included an all-star list of bluegrass performers. Though the Flecktones didn't change their formula with their third album, UFO Tofu, they did manage to craft one of their more consistent and impressive efforts. 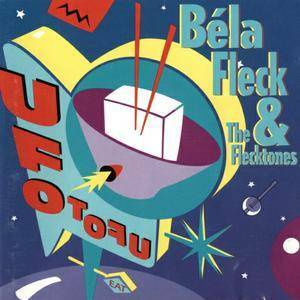 The band's fusion of jazz, bluegrass, and funk gels quite well on UFO Tofu – not only does Bela Fleck turn in a rich, eclectic performance, but pianist Howard Levy's deft lines and inventive phrasing dominate the album. Occasionally, the material is lightweight, functioning only as vehicle for the group's solos. 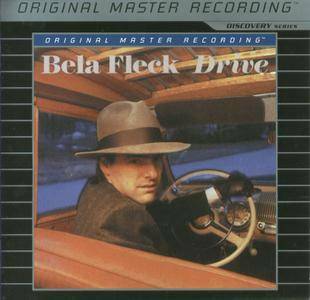 Banjo virtuoso Béla Fleck has certainly broken more boundaries than any other picker in recent memory, from his early days performing bluegrass-inspired folk compositions on Rounder in the late '70s to his quirky jazz freak-outs with the Flecktones throughout the '90s. In late 2001, this peculiar innovator released an album of banjo interpretations of classical works by Bach, Chopin, and Scarlatti. Before classical purists roll their eyes, they must remember that the banjo hasn't always been seen as the instrument of choice of backwoods musicians in the Appalachian mountains, but as recently as the 1940s was used as a primary rhythm instrument in all manner of parlor music.